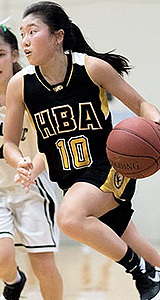 Player of the Year: Ally Wada, Hawaii Baptist, G/F, Soph. A versatile and improved Ally Wada helped the Eagles get over the state tournament hump. The Hawaii Baptist wing was selected as ScoringLive's All-Hawaii Division II Player of the Year after averaging 10.9 points per game to help the Eagles compile a 25-2 record en route to the team's first state title. Wada, a 5-foot-8 sophomore, could virtually play any position on the floor with her length and athleticism. After spending most of the time in the post in her freshman season, Wada developed a perimeter game to become a more complete player. 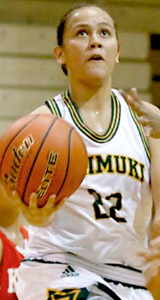 "We don't like that because she can shoot the 3," acknowledged Damien coach Paul Tanaka. "We try not to leave her open, but even if you try to close out on her, she's really dangerous in attacking the basket." Wada's growth was more than just physical. Her demeanor and confidence on the court improved greatly in her sophomore season. Instead of shying away from the moment, Wada's competitive spirit was on display for all to see. "She was a more mature player in that I saw her fighting for rebounds," said Tanaka. "She was often doubled-teamed and just had had a different look to her this year." 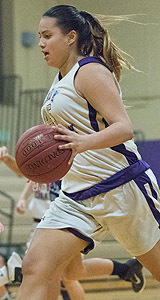 During the state tournament Wada averaged a double-double of 12.7 points and 11 rebounds per game. 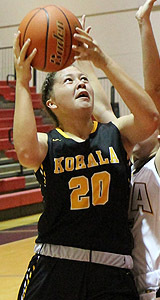 Her most dominant game was against Kohala when she scored 18 points with 15 rebounds against center Naai Soloman-Lewis, the tourney's most outstanding player. In the Division II final against Kamehameha-Hawaii, scored six of her game-high 13 points in the second quarter when her team was in a rough shooting slump, missing eight total shots in the period. "She's the type of player where if they're in a slump, she can be the one to pick them back up," said Tanaka. "She can take it up to that next level even when the chips are down and the shots aren't going in. You can still see her working and she doesn't give up. She's just so mentally tough that she can almost will her team back." 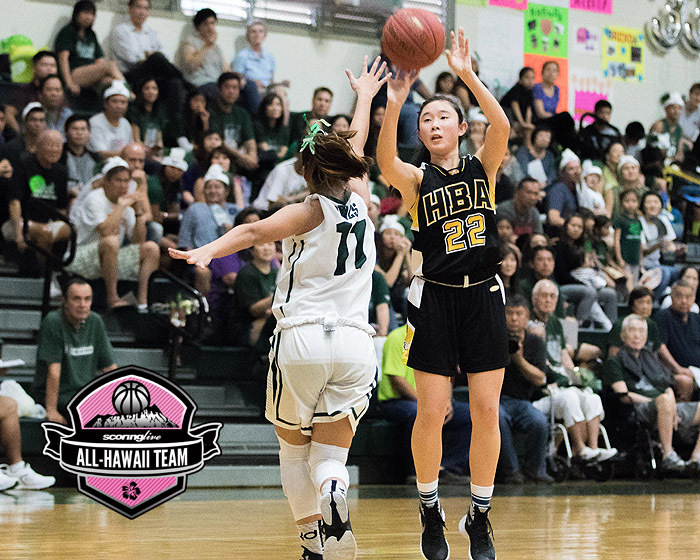 Joining Wada on the First Team is her teammate and senior guard Stephanie Dang, who is a two-time Interscholastic League of Honolulu Division II Player of the Year. Kaimuki's Victoria Kintz and Damien's Melina Souza were selected to the First Team for the second year in a row and Soloman-Lewis rounds out the list. » Download a printable version of the 2016 Division I All-Hawaii Team. The second team is made up of Molokai's Ciera Kameehonua Hepuakea Faleaalii, Kaimuki's Kaelyn Espinda, University Lab's Kyra Young, Mid-Pacific's Ciera Kameehonua and Kapaa's Paea Tafea. Second-year coach Weston Willard earned the award after leading the Warriors to a runner-up finish in the state tournament. Kamehameha-Hawaii also captured its first Big Island Interscholastic Federation Division II title since 2013 despite losing former ScoringLive All-Hawaii Division II Player of the Year Riana Arima to graduation. "He's doing a great coaching job," said Tanaka. "For him to take over a program like that and get them to the finals in his second year after losing one of his star players, he's doing an awesome job there."